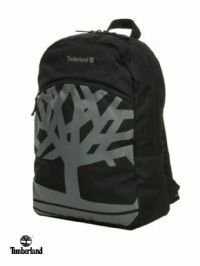 Description: Timberland backpack bag. Features a Timberland logo on the front. Also includes a zip fastened opening, as well as two adjustable shoulder straps. 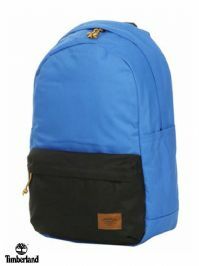 Description: Puma small backpack bag. Features a Puma on the front. Also includes a zip fastened opening, as well as two adjustable shoulder straps. Made from leather and and suede materials. Along with the gold zip, this is a very high quality product. Description: Adidas ‘3 Stripe’ backpack bag. Features an Adidas logo and three stripes on the front. Also includes a zip fastened pocket and a double buckle fastened pocket, as well as two adjustable shoulder straps. Description: Adidas 'Classic' Backpack bag. Features the Adidas logo on the front. Also has a zip pocket on the front and has adjustable shoulder straps. Description: Adidas ‘Classic’ backpack bag. Features an Adidas logo on the front, as well as two zip pockets and two adjustable shoulder straps. Description: Adidas 'Athl Core' Backpack bag. Features the Adidas logo on the front. Also has a zip pocket on the front and has adjustable shoulder straps. The bag also can extend on the top to fit more. Description: Puma 'Heritage' Shoulder bag. Also has the Jamaica logo on the front, as well as having the metal Puma logo on the front. Button up opening with an adjustable shoulder strap. Description: Puma Backpack bag. Main zip opening with a second front zip compartment. Also has adjustable straps. 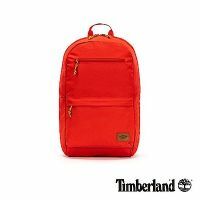 Description: Timberland ‘Sling Bag’. 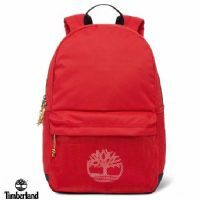 Features a Timberland logo across the front, as well as two zip pockets. Also includes two side pouch pockets and an adjustable shoulder strap. Description: Head ‘Contemporary St Moritz’ Duffle bag. Features a Head logo on each side, as well as three zip pockets. Also includes a two grip handles and an adjustable shoulder strap. 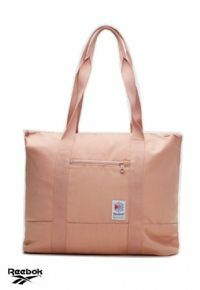 Description: Pink Reebok Tote Bag with large zipped Pouch. Description: Adidas ‘Class BP’ Medium backpack bag. Features an Adidas logo on the strap. Also includes a zip pocket and two adjustable shoulder straps. Description: Adidas 'Tiro Team Large' Holdall bag. 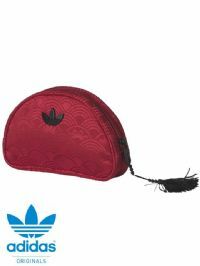 Features the Adidas logo on the front and has a zip opening, as well as an adjustable shoulder strap. Description: Black Reebok ENH Gym Sack. Description: Puma ‘VR Combat’ backpack bag. Features a Puma metal logo on the front, as well as a zip opening and two adjustable shoulder straps. Description: Reebok ‘Motion Playbook’ backpack bag. Features a Reebok logo on the front and two zip pockets, as well as two adjustable shoulder straps. Description: Red Textured Adidas Pouch Zip Bag. Features Embroidered pattern on side and Metal Trefoil Logo on the other side. Description: Adidas Neo ‘Transparent’ gym sack bag. Features an Adidas Neo logo on the front and two adjustable shoulder straps. Description: Adidas Originals gym sack bag. Features an Adidas Originals Trefoil logo on the front and two adjustable shoulder straps. Description: Reebok Grey Mini City Bag. Description: Adidas Originals ‘AC’ gym sack bag. Features an Adidas Originals Trefoil logo on the front and two adjustable shoulder straps. Description: Puma ‘Ferrari LS Package’ coin wallet and key ring set. Features a wallet and matching Ferrari key ring in a metal presentation box. Description: Puma ‘Ferrari LS Package’ wallet and key ring set. Features a wallet and matching Ferrari key ring in a metal presentation box. Description: 'Snorkel-Birch' Blue Asics Borsa Satchel Bag. Feature rustic Onitsuka Tiger Logo. and 2 zip pouches. Description: Puma 'Jamaica' messenger bag. Features a large crack effect Jamaica bag, and incorporates the Puma logo. Also includes an adjustable shoulder strap. 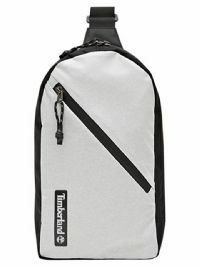 Description: Rip Curl 'Dome Resin Tint' backpack bag. Features a small felt Rip Curl logo on the front, as well as two separate zip pockets. Also includes two adjustable shoulder straps.